I love this little cabinet. It has had many uses during its lifetime, but it was in need of a new look. The clear glass doors just didn’t work for me anymore. So I painted the cabinet a chocolate-brown and took the glass out of the doors and painted them too. I was not planning on putting this on my blog, but my sons asked me to post it. I was amazed that they even noticed the change! So to paint the glass here is what I did. 1. Make sure glass is really clean. Remember edges are sharp and will cut. 2. I free-hand the flowers, but you can find a picture and lay under the glass and follow a pattern. I used a metallic painters pen in silver. (they smell so make sure you are well ventilated) Let dry. 3. Paint on a layer of gold metallic acrylic paint, then using a plastic sack dab at the wet paint. (you might want to practice this step on paper first) This gives it a crinkled look, a little bit like gold leaf. Let dry. 4. 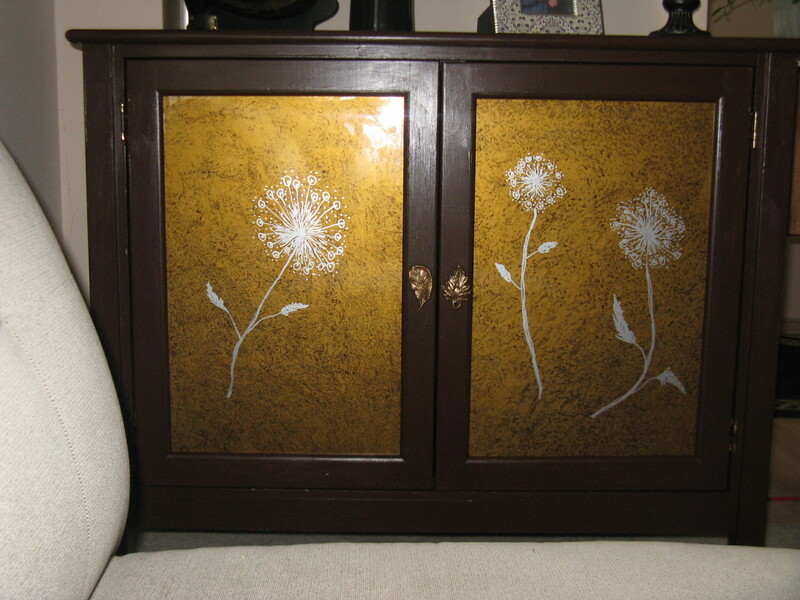 I used the brown paint that is on the wood of the cabinet and painted over the top of the gold. Let dry and put glass back in the doors. Remember if you don’t like something paint will come off with a sharp blade. Now I can store things inside and no one can see my mess. Pretty and practical: two things I like! I cook most of our meals and at times it gets boring. 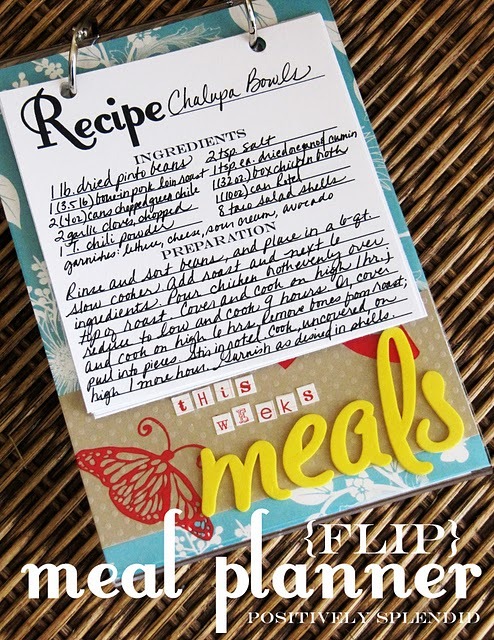 Positively Splendid’s idea for a flip recipe organizer will help me with my meal planning and may save a trip or two to the store. This is a clever idea from 4 Crazy Kings. 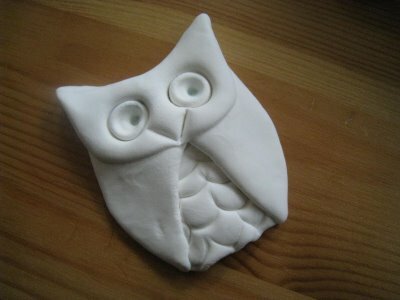 Owls are popular right now and this is an easy, but elegant owl to craft. Craftzilla came up with a great look inspired by something she saw in a store. Wonderful choice of colors, I will have to go through my fabric stash! 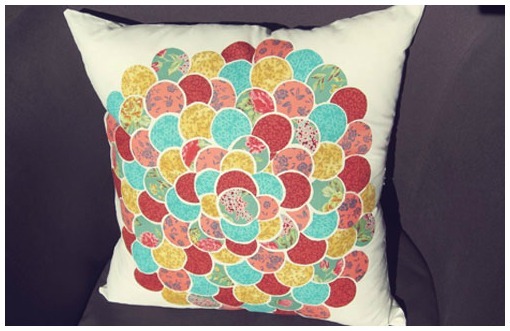 Note: You can buy bed pillows cheap and they will fit into a 20″ x 20″ square with a little finesse. Have you ever checked out Instructables? There are some wild and crazy stuff, but a lot of fun things people have given instructions on how to make. This one is for making your own weight bag. It is designed so you can adjust the amount of weight you are lifting. Very clever! Butterflies must be on peoples mind this week. Rose Ribbon has two blogs pages showing her beautiful photos of butterflies and Mother Rising shows you how to attract butterflies with a special feeder you can make. Well July is almost over, how did that happen? Here is one last Christmas in July idea. Painted Christmas tree pot is from Fave Crafts. I set out a table full of Santas that I have collected over the years, a few trees would help make the display look more festive. You could try different size and shapes of pots so they don’t look so uniform. You could even set them on an angle and paint them in wild colors to give a Seuss like theme.